2) Or the bump stops show wear or are gone altogether.... ??? The rest of van will look a bit beat up if it has been run too hard, but usually the suspension will tell the story. 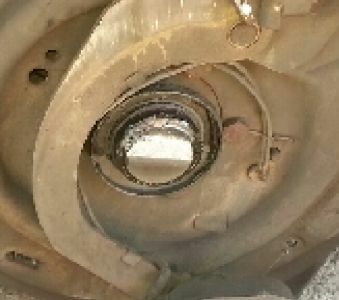 If you pull off a brake drum, if they have not let tyre pressure down, you can also see extreme wear on the magnet and brake actuating arms... Just a word to the wise, a good enough buy and it is well worth restoring and upgrading OK? 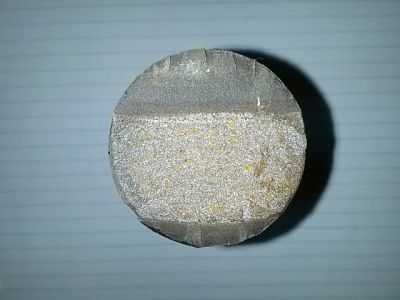 I have a collection of axle stubs in my office, that are distinct in that half of the axle stub is crystalized looking where it sheared off. The troubling bit is that the other half is worn smooth where on a microscopic level it had been wearing and they were running on a cracked axle stub for an unknown time!! 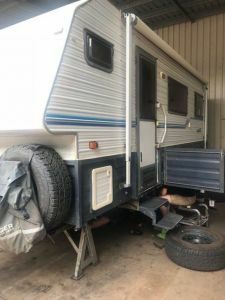 Sometimes it is hitting a curb or rock or deep rut, or just running over loaded, you just do not know with second hand Bushtrackers. These pictures are of stubs we have investigated, that were already fractured and work hardened, with the Engineering involved. Most we have investigate were waaay overloaded, with only a few having a collision, pothole, or curb hit hard as the suspected fracturing impact. These are just some of the causes, that it has been overloaded, or run hard, or run too fast... 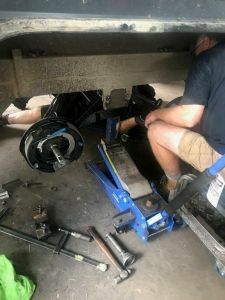 If you see some or all of this, looking at the suspension, springs, hangers, pivot blocks, suspension bottoming out on the chassis: Then I suggest you could think about this upgrade for peace of mind. 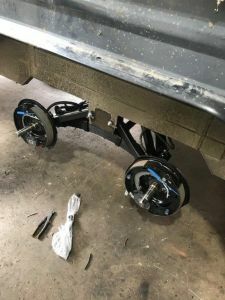 We would have done maybe 50 of these suspension upgrades on older vans, to our new Standard of the 4140 Tool Steel axles now since I started this Thread in about 2015? Anyway it makes good sense, worry free, and you have the option of increasing your ATM (like GVM in the tow vehicle only ATM is on the van.. Here is one of the oldest ones we have done. 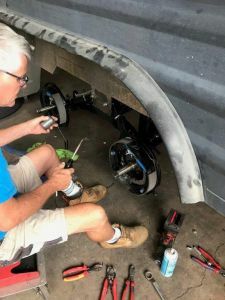 They wanted a substantial ATM increase, that even made the obsolete brakes outdated, so they upgraded the whole lot to the new 12" Commercial brakes, two piece hub drums, new springs, bearing and the whole enchilada. I mean new style pivot block really almost a whole new suspension. We're picking up a 2003 18'6 BT van next weekend so am interested in this upgrade. What is the current approx cost?.